← One week left – entries close December 7! IT’S THE FINAL COUNTDOWN! Aurealis Awards close Monday! 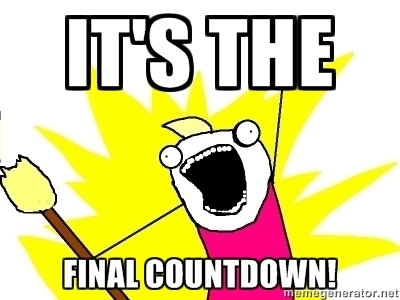 Only TWO (2) working days left until entries close for the 2015 Aurealis Awards on December 7. Time is running out! Talk to your publisher, prepare your files, and make sure your work is considered – we’re working hard behind the scenes to try to get all Australian 2015 work in, but we’d hate to miss anything! Check out our current list of entries and let us know of any work you think should be there, or make your entry here! This entry was posted in News and tagged 2015 Aurealis Awards, deadline, entries, entries closing. Bookmark the permalink.